Well . . . Off we go into the wild blue blog yonder! That was February of 2006 - Six years ago! At that time, basically no one knew who I was in the SMB space. I had released The Network Documentation Workbook the year before, and was working with Harry Brelsford to promote it. 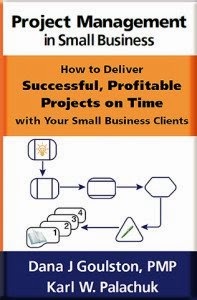 By the time I started blogging, I was already working on my second book (The SAN Primer for SMB) with Harry, and my own book Relax Focus Succeed. Here's a summary of twenty-five highlights of my life over the last 1,000 blog posts . . .
1) I released eight more books. 2) My daughter graduated from high school and went off to college. 3) I started five blogs (in addition to this one). Three of them (in addition to this one) are still going strong. 4) I got divorced after 19 years of marriage. 5) I closed down KPEnterprises, the business that made me wealthy and became the basis of so much of my writing. I am now working with Mike Bayless at America's Tech Support, a company I helped him start up. It continues very much in the traditions of KPE. 6) I made two trips to Europe and so many trips across the United States I can't count them all. 7) I produced hundreds of podcasts under the names SMB Conference Call, SMB Community Podcast, and Cloud Services Roundtable. 8) I moved from my big house to a small apartment. 9) Somehow, between a drug called Enbrel and reducing the stress in my life, I am almost 100% pain free from rheumatoid arthritis. Six years ago I carried a cane when I traveled. Today I don't know where that cane is. 10) I got a new car. I call it my "middle aged man car." 11) I broke my toe. I just stood up and walked into a heavy coffee table that hadn't moved in years. It didn't move that day either. 12) I left my church in search of another. So far, no luck. 13) I joined three different mastermind groups (one at a time). 14) I hired a life coach - and I've had her for two years now. 15) I experienced death - losing some good friends to disease and accidents. I miss them. 16) I've seen new babies enter the world just so I can dote on them. 17) My daughter announced that she is gay. 18) I gave up almost all of my worldly possessions. Having said that, there still seems to be a lot left. The only thing I own of real value is photographs of my friends and family. 19) I hired my brother and eventually made him president of the company so I could go do other things. 20) I started dating at age 50. As strange as it sounds, I never really dated much before. So this is very new territory for me. 21) My brother left the company after five years - the longest he's ever worked for a single employer. 22) I had surgery on my foot to remove a nerve. And I had another surgery on my ear to restore lost hearing. 23) I found a whole new world of friends in Sacramento ... and I'm really enjoying local networking. 24) I made friends all over the world. Real friends. Friends who've invited me to their houses, introduced me to their families, shared meals (and beers) with me, and remembered me in good times and bad. 25) I've reinvented myself several times and realized I like the process. The world keeps changing. I don't know if this blog will be around for another 1,000 posts. But I plan to be! Life is such an amazing journey. I am grateful that I can't see the future because, most of the time, it turns out to be a wonderful surprise. Thank you to everyone who helped me build the life I have today! All these resources and more. 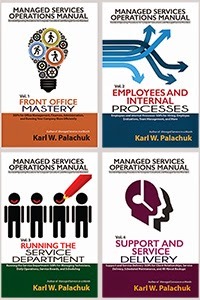 SMB Books is THE resources for the small business IT consultant who wants to move up to the next level. Please note, however, that spam will be deleted, as will abusive posts. Taking the SMB 150 Too Seriously?